Your letter to Chairman Mao was received. 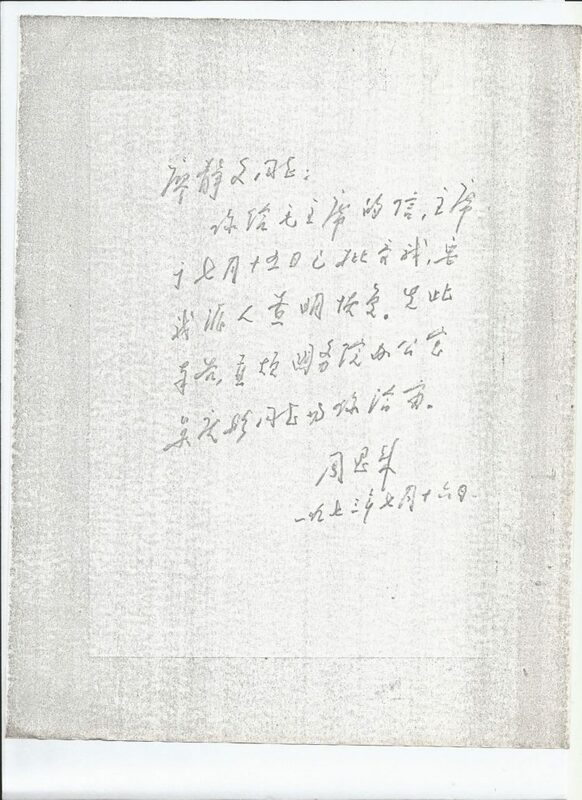 The chairman on July 15 responded with a written instruction, asking me to see about reinstating [the Xu Beihong Memorial Museum] after verification. I first inform you and will ask Comrade Wu Qingtong from the State Council Office to discuss this matter with you.